I made an embroidery piece of this quote for my mom. 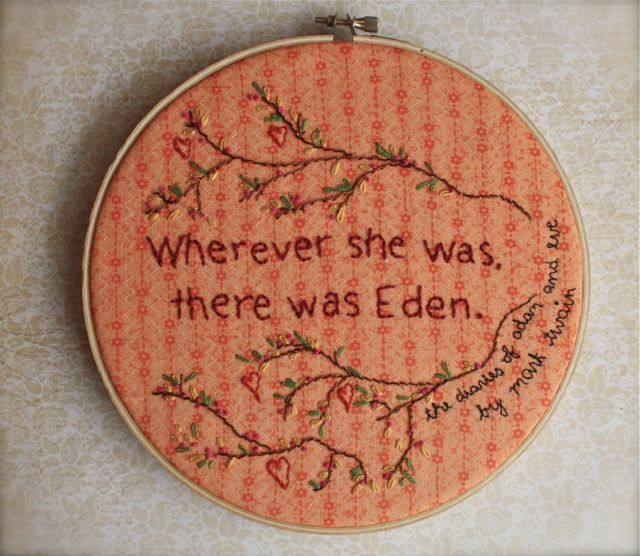 Wherever she was, there was Eden. Many of you know that my mom was diagnosed with advanced breast cancer last July, and ever since then her life has been a horrible mess of awful. And she has been so brave and so strong and so so so tired of being so brave and so strong. 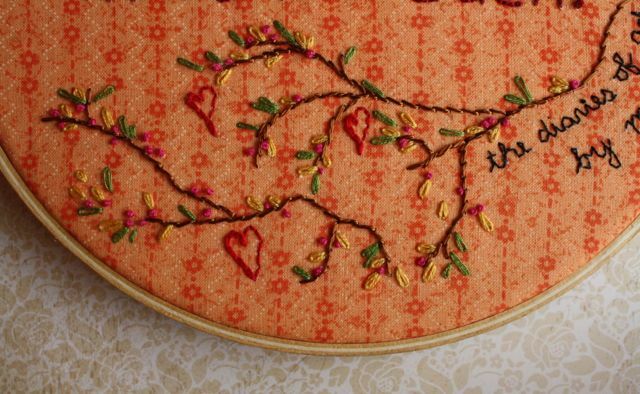 I would like to share a little backstory on her cancer ordeal just in case it can prevent anyone out there from having to endure what she has had to. The summer before last (June 2010) my mom found a breast lump. She immediately scheduled an appointment with the doctor and was told by the radiologist that there was nothing to worry about and that the lump was benign. Phew! We were all so happy! The radiologist and his staff reassured her that all was well and told her to come back in a year as a followup. Well, that benign lump was indeed breast cancer and had spent the year growing and becoming super dangerous. I'm telling you this so that you know to always use two processes of elimination to make sure that any tumor you have is not cancerous. And please. GET A BIOPSY. I found a lump in my breast 6 years ago and had a lumpectomy (in the doctor's office, while I was awake). The doctor extracted the tumor, dropped it in a jar (it made an actual 'plink' noise) and told me that he was positive that it was not cancer. And then, HE BIOPSIED IT. Hey, not cancer! For realsies! Please don't let what happened to my mom, happen to you. Right now she is still in the process of chemotherapy, recovering from a mastectomy (with a nasty infection) and is gearing up for weeks of daily radiation. I have watched her and decided that this cancer? It is no good. Yet through it all my mom has been loving and kind and amazing. 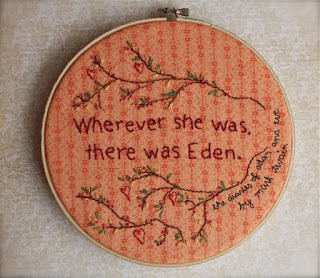 And truly, wherever my mom is, there is Eden. Stop it. Stop it with the making me have emotions cause I'm all teared up and hating it. Sorry about making you cry, Sarah. Go read my Penguin Centipede post again for a palate cleanse. Oh, Amy. I so agree! Unfortunately my mom won't consider doing that, and it is her illness not mine, so I have to stay mum.